Recently released information from Osterman Research, reveals that “the archiving market is growing but the cloud-based segment is growing at a much faster pace”, says Michael Osterman. By 2018, Osterman predicts that cloud-based archiving will dominate the overall market for archiving, where as recently as 2015 the opposite was true. Many factors are contributing to this major shift, including the availability of low-cost public cloud storage costing as little as $0.02 per GB per month. 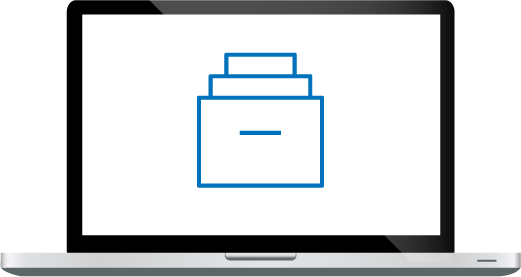 Cloud-based archiving also benefits from increased scalability and available services such as indexing that are important components of a robust archival application. Driving the demand for archiving is the rapid growth of unstructured data. According to Jason Buffington at the Enterprise Strategy Group, “At first glance, our topline shows (on average) that slightly over half of all production data is “unstructured” which one could then presume to therefore be less manage-able and therefore almost inevitably unmanaged by many”. Unstructured data includes the venerable Office file formats (e.g. Word, Excel and PowerPoint) as well as email and popular media file formats. Managing unstructured data is a major issue considering that unstructured content accounts for 90% of all digital information. Taking into account the cost of enterprise storage, the proper management of unstructured data impacts the IT budget in a major way. Archive2Azure is Archive360’s Compliance and grey data cloud solution targeting long tern storage and management of unstructured grey data into the Microsoft Azure platform. The Archive2Azure solution leverages Microsoft Azure’s low-cost ‘cool/cold’ storage as an alternative to expensive on premise enterprise storage. Azure costs as little as $0.02 per GB per month and eliminates all the expensive overhead costs of traditional on premise storage. 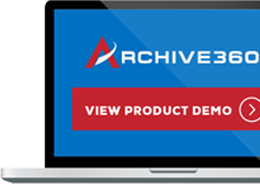 Archive2Azure importantly provides automated retention, indexing on demand, encryption, search, review, and production – all important components of a low cost, searchable storage solution. Given the clear cost advantages of the Microsoft Azure cloud, it’s no surprise many companies are looking to Microsoft Azure and Archive2Azure for grey data management and storage.